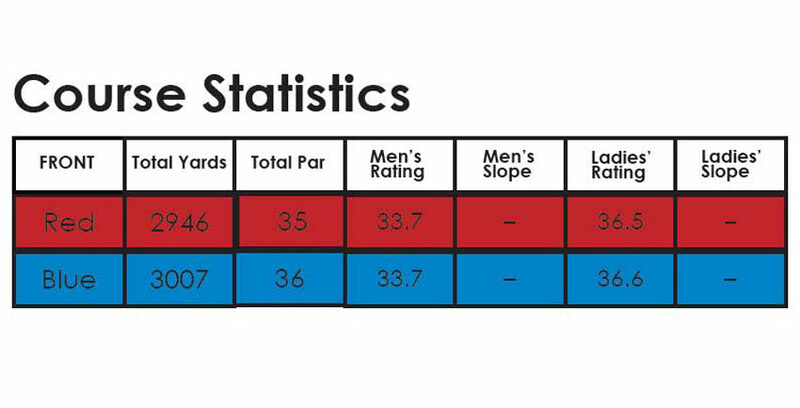 $10.00 per day, $25.00 for 3 day entry. 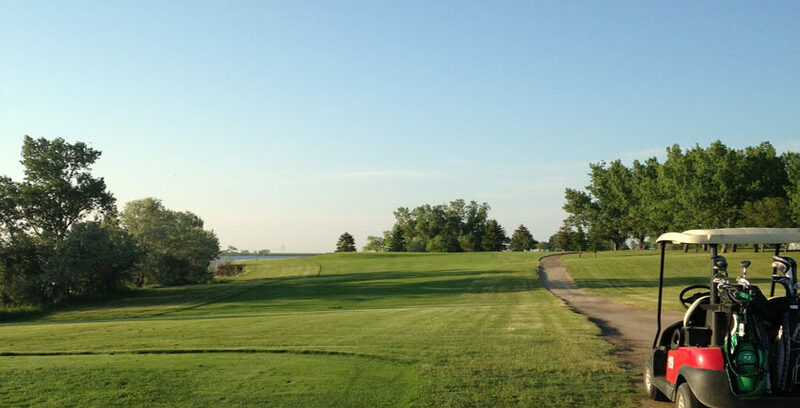 The park sits on gracefully treed, well grassed lakeside land. 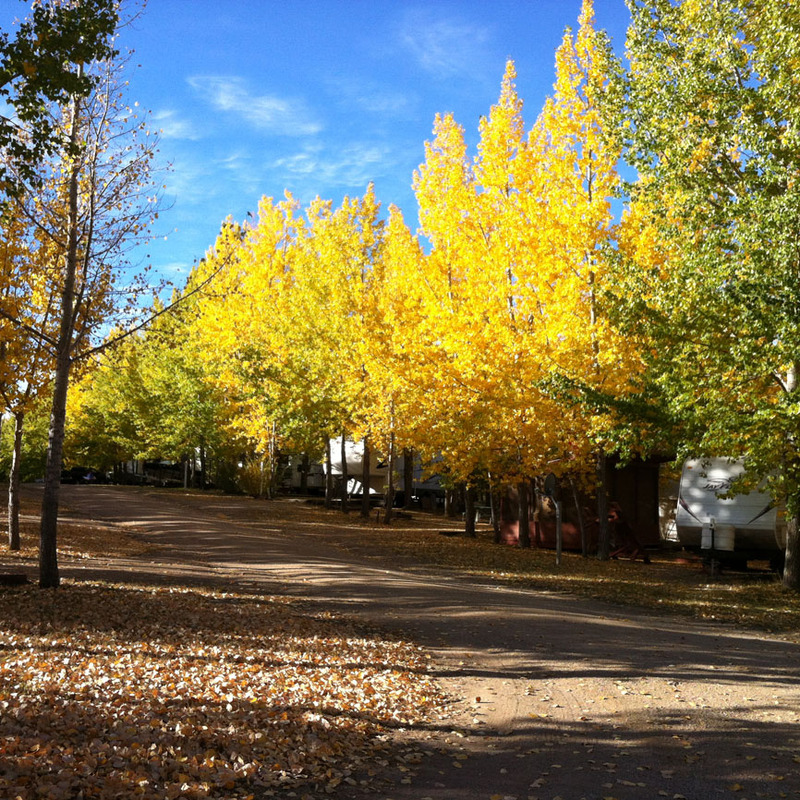 The park has a private cottage development as well as seasonal and daily camping sites. 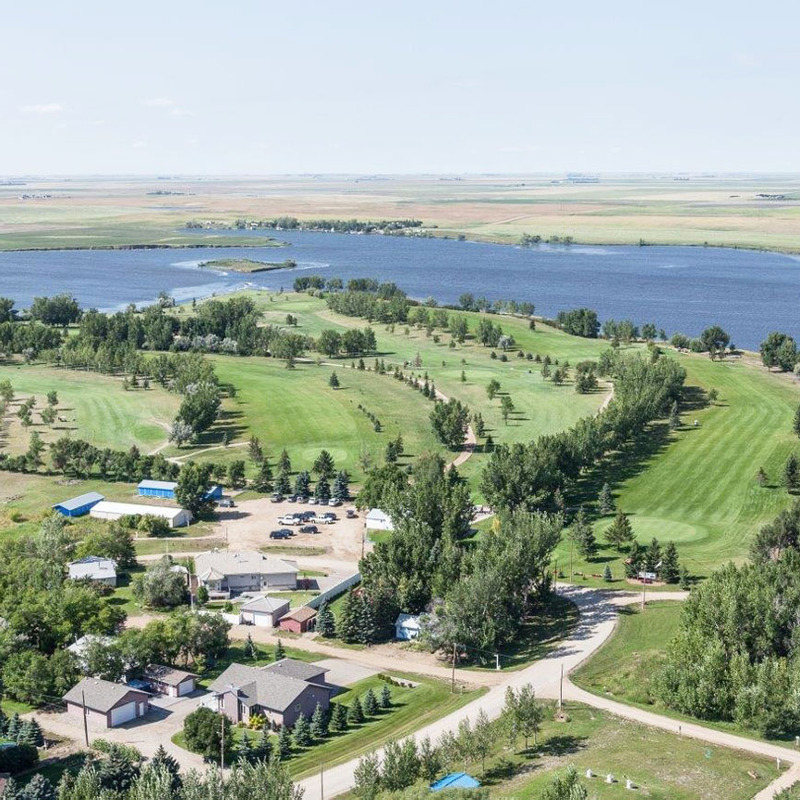 In addition there is a outdoor pool and paddling pool and a nine hole grass green golf course; four of the holes are along the lake so as well as being a challenge there is a beautiful view. The lake is great for boating and fishing. 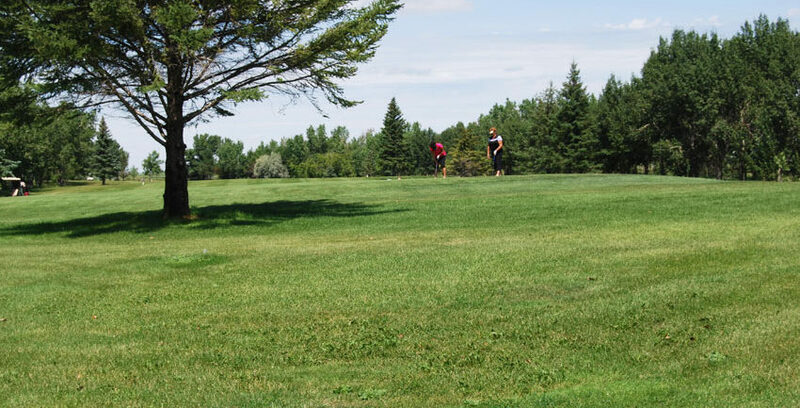 The park is located about 10 minutes from either Lafleche or Gravelbourg. Both communities offer grocery stores, post offices, mechanical shops, gas stations and churches. There is a RCMP detachment and hospital in Gravelbourg. In the mid 1950s the PFRA began work on the Lafleche Storage Project. This project was building a dam on the Wood River to control the flow of the river and conserve the runoff for local use for stock watering, irrigation and municipal purposes. 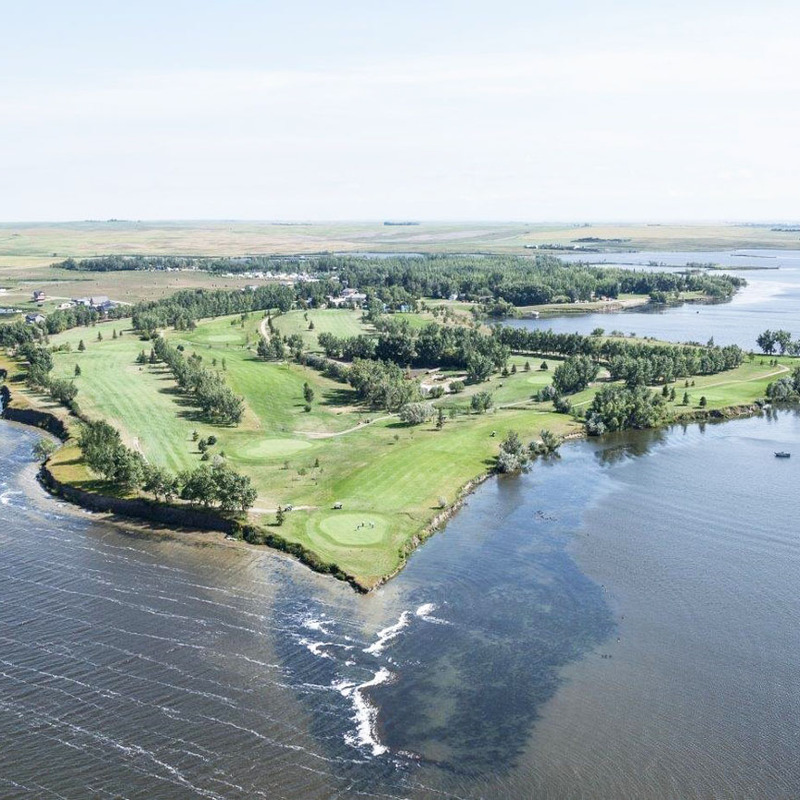 Dr. Leonard Thomson, the PFRA director at that time, saw the reservoir as more than a source for these purposes; he also saw the possible recreation potential the reservoir would have. 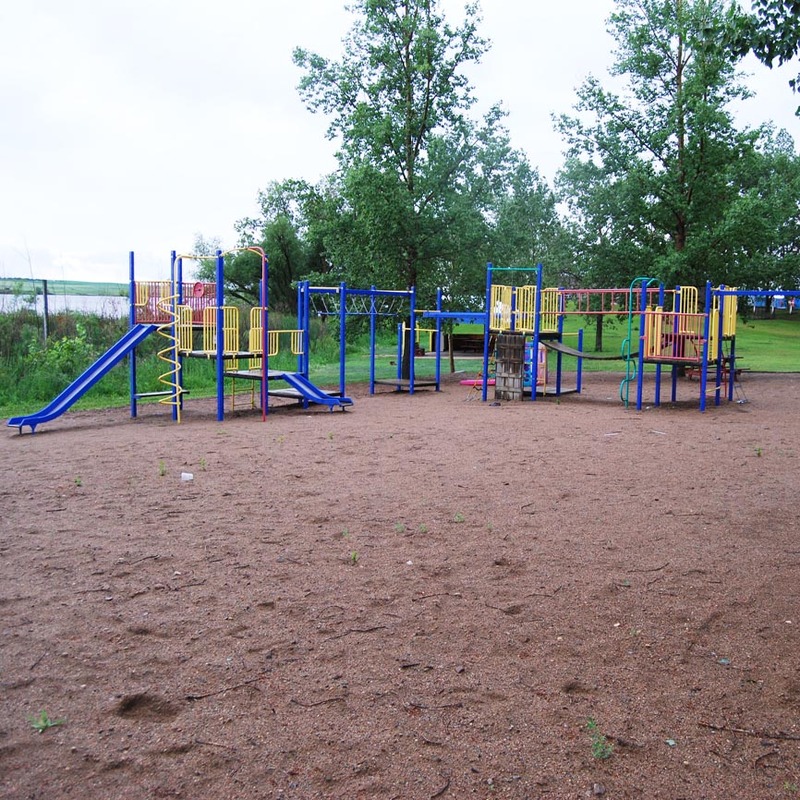 Dr. Thomson's idea was soon grasped by local residents and the seed for Thomson Lake Regional Park was sown. 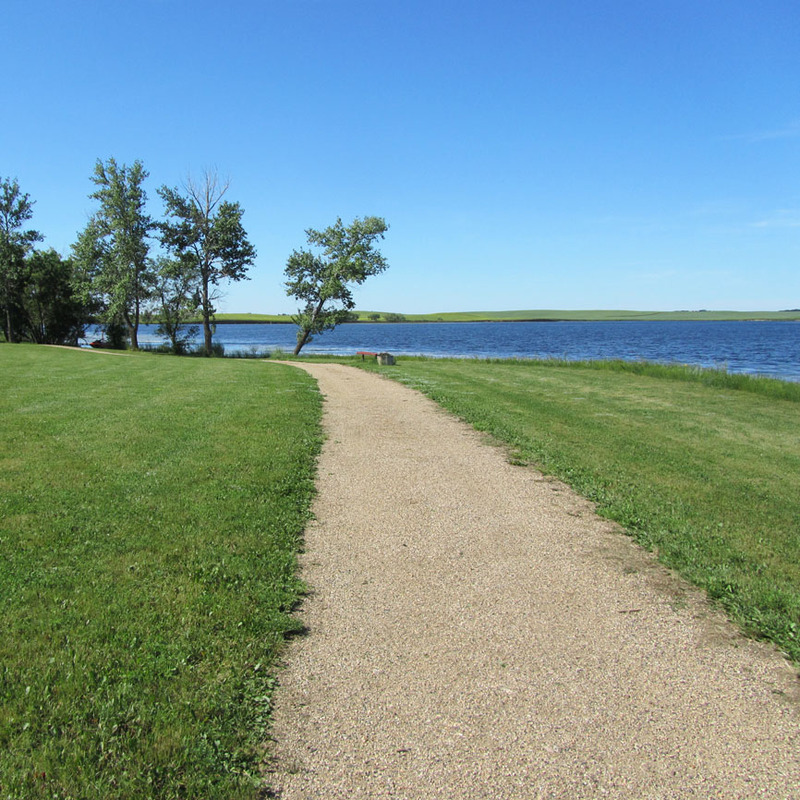 Thomson Lake Regional Park hold the very first regional park Charter dated March 21, 1961. Washrooms and the shower houses are wheel chair accessible. Most facilities at Thomson Lake are wheelchair accessible. There are 20 amp power sites, 30 & 50 amp full hookup sites in addition to 237 seasonal sites and 16 designated non serviced sites. 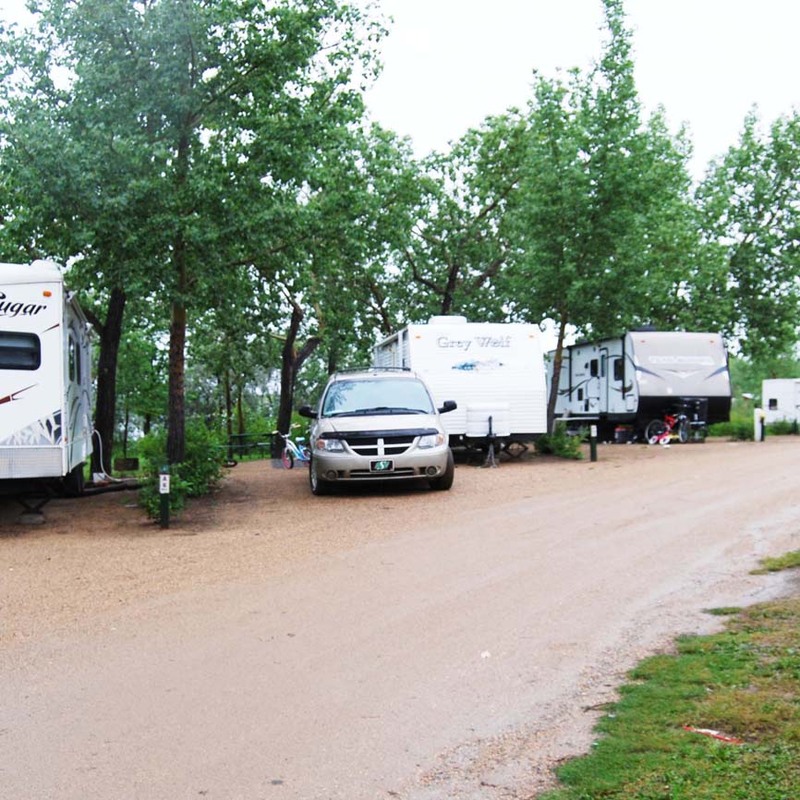 All sites are level and drained with gravel pads, picnic tables, fire pits and access to central trash cans and water taps. 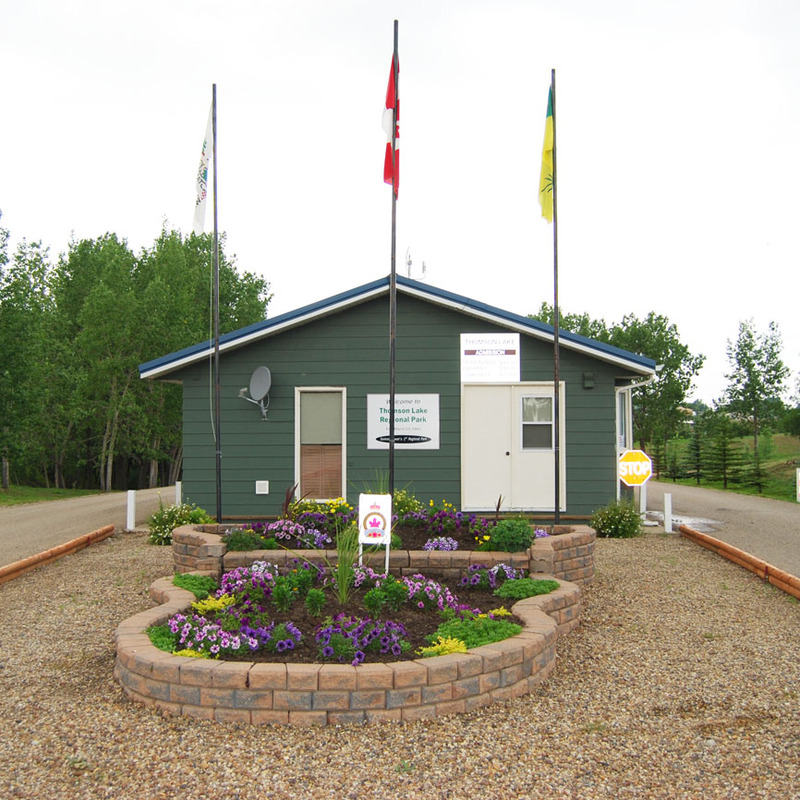 Washroom facilities are modern with flush toilets, coin operated showers and laundry facilities. 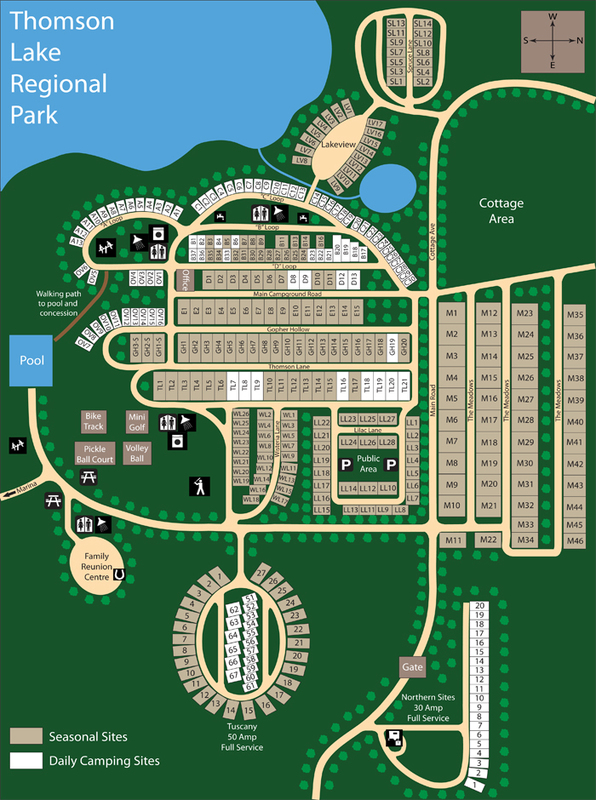 A map to the campground sites and facilities is available at the park gate. 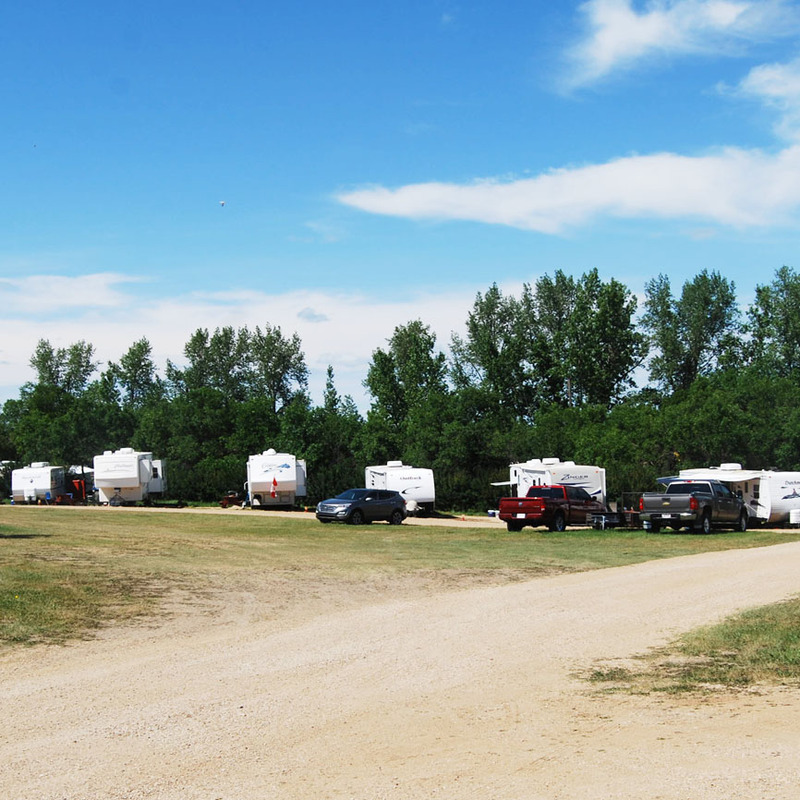 A group camping facility is available by reservation. 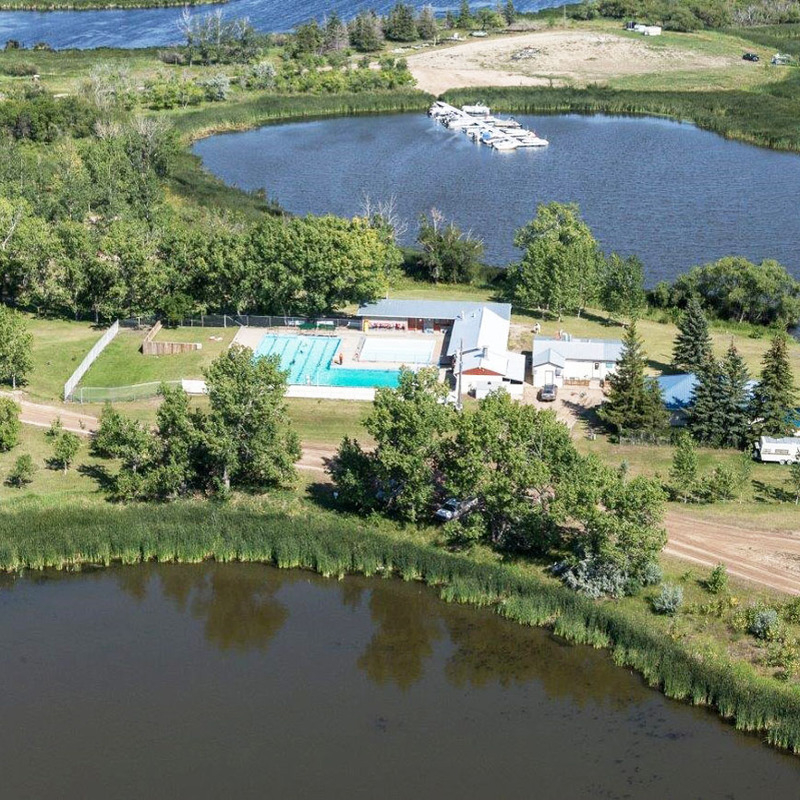 The site offers a shelter, modern washrooms, a fire pit, covered stage and 20 amp electrical outlets for camping. This is an great place to camp with friends or large groups! 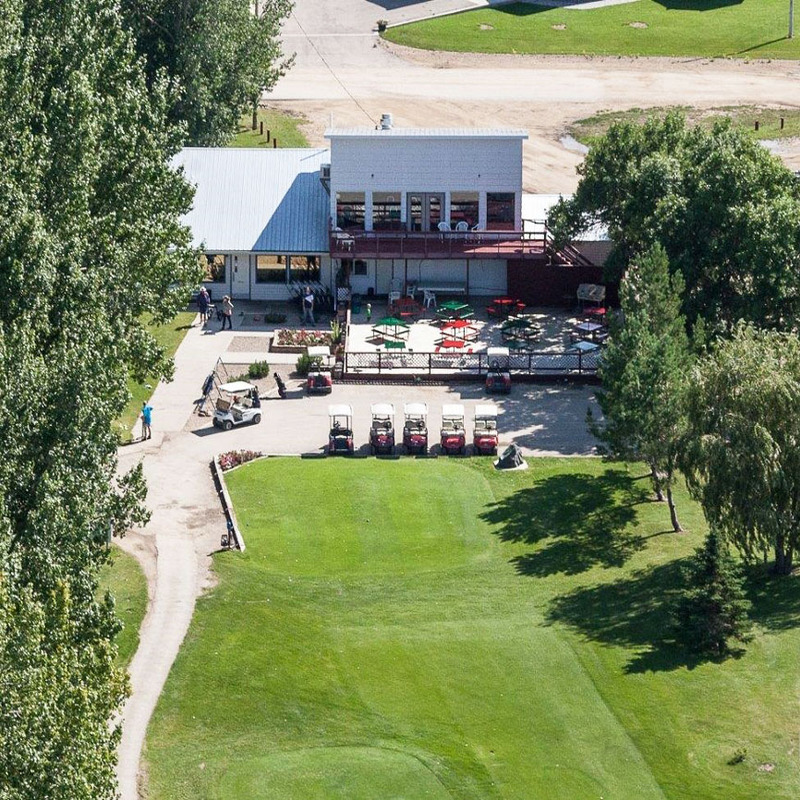 The park has a scenic lakeside nine hole, grass green golf course complete with a fully licensed club house. 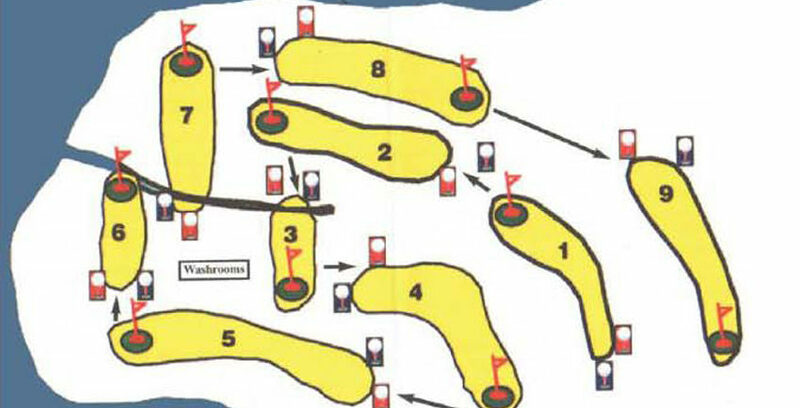 The course has two sets of tees at each hole providing an eighteen hole experience, a practice green and equipment rentals including power carts. The spectacular outdoor swimming pool has change rooms, showers, two diving boards and a heated paddling pool. Three two week swimming lessons (Lifesaving Program) are offered. 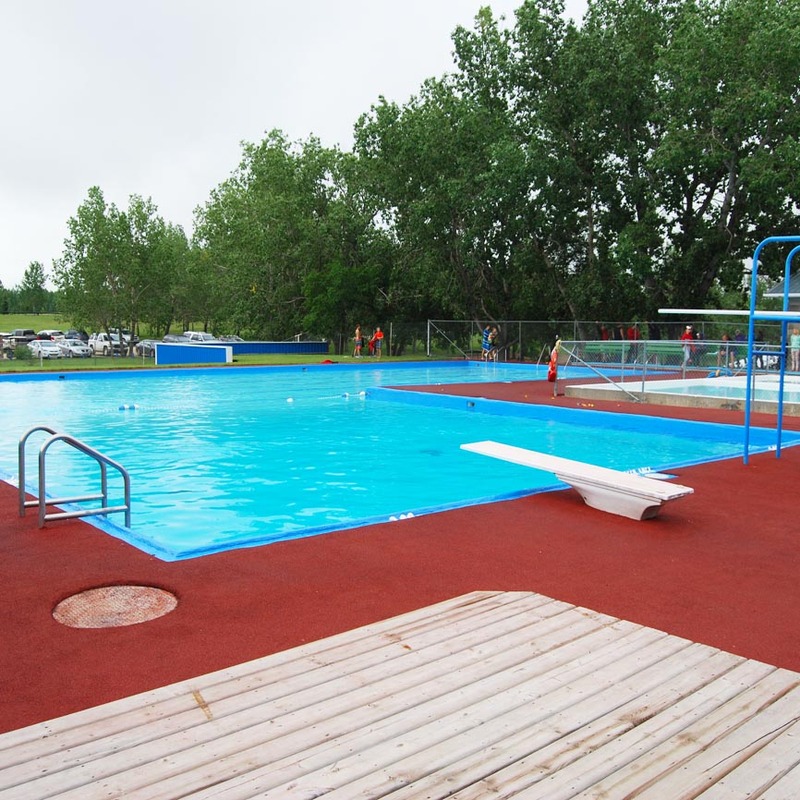 The pool is open from late June until Labour Day weekend – weather permitting. The park has one ball diamond with a gravel infield. 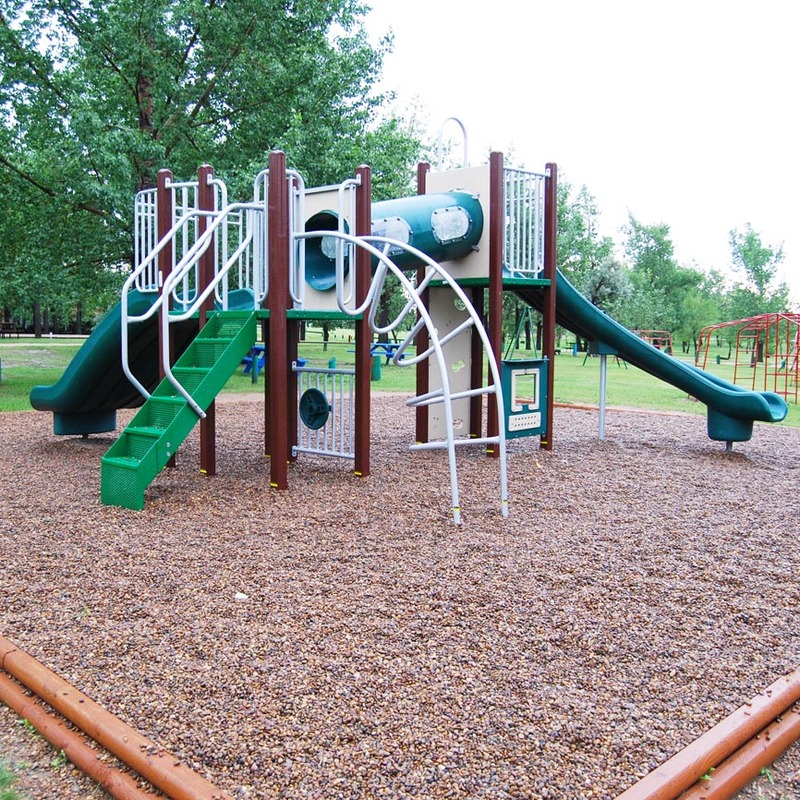 Aside from swimming and golfing, children will stay busy with the playgrounds, pickleball, minigolf, bike track, horseshoes, volleyball, and kayak rentals. During swim lessons there is an afternoon drop in activity program for younger children provided at no charge. 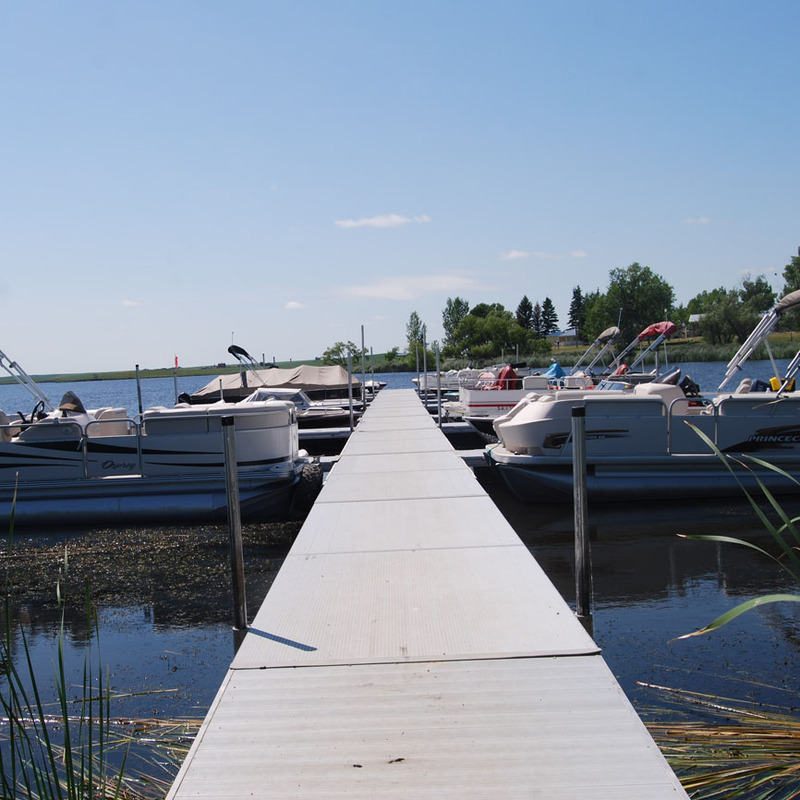 The park has a marina and a boat launch, filleting station and washroom facilities. Private docks are permitted. There is a large parking lot for boat trailers. 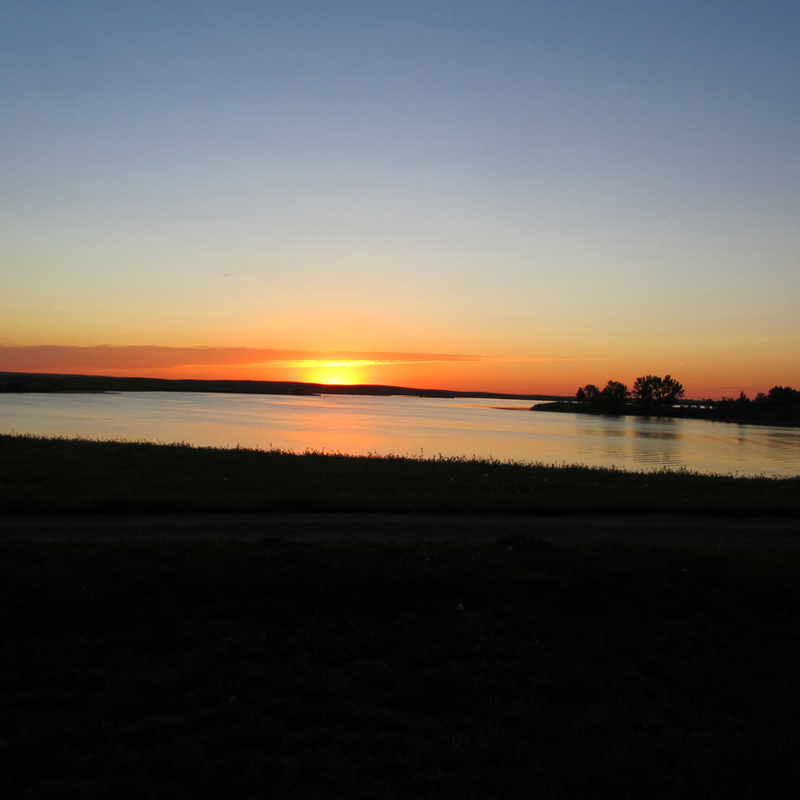 The lake offers walleye, pike and perch. Fishing is a popular sport here at the park! Fishing licenses can be purchased in the park. Children enjoy the BMX bike track that has many humps and valleys to challenge its contestants. Nature lovers are offered an excellent opportunity to study and observe the many waterfowl, songbirds, deer, muskrats, and beaver while enjoying a walk on the two hiking trails. There are a variety of events held at the park throughout the season including Canada Day celebrations with fireworks. Reservations are accepted by phone, email or in person starting May 1, 2018.